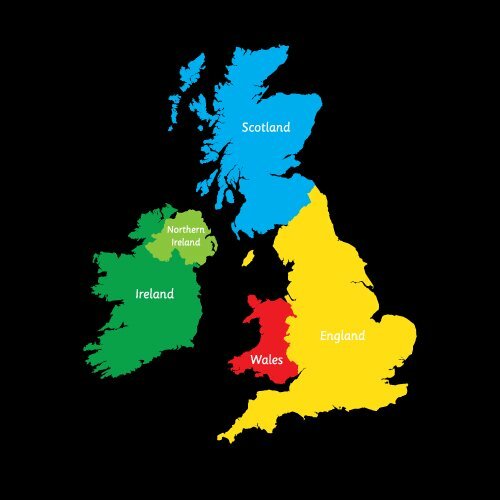 A large map of the United Kingdom showing England, Scotland, Wales and Ireland in different colours. A great teaching aid for children to learn geography. Some schools have asked for their town, city or village to be marked on the map to show exactly where they live, this can be done free of charge upon request.